Javi is a Mexican smasher who mains Fox in Melee. He is the brother of Tuga. He is ranked 1st on the Mexican Power Rankings, and was ranked 37th on the 2016 SSBMRank. Javi is best known for his performance at Apex 2012, which he was able to attend after winning the Ticket To Apex tournament, getting his flight paid for him. At this tournament, he swept through both rounds of pools and made it into the 64 man bracket, where he was knocked into losers' bracket early by Lovage, but managed to defeat Redd, Weon-X, KoreanDJ, VaNz, Lovage in a rematch, Hax, and finally Dr. PeePee before being eliminated by Hungrybox, taking 4th place in singles. He also placed 33rd in doubles with HugS, and participated in the USA vs. The World crew battle as the first player for The World team, though he was taken out by Jman in his first battle. Javi returned next year to attend Apex 2013, where he placed 13th in singles and 7th in doubles with Aza. In singles, he defeated .jpg, Darkatma, and Leffen in the 128 man bracket before being eliminated by Axe. After a year and a half of no appearances at major tournaments, Javi attended EVO 2014. In the winners' quarters pools, he defeated Swedish Delight 2-0 before losing to S2J 1-2. He made it into the top 32 by eliminating Mr. Brandandorf, but lost to Eddy Mexico 0-2, placing 25th in singles. Javi, after another 5 or 6 months of no significant appearances, goes to Apex Qualifier Forte 2, along with several other Mexican smashers such as Valdo, Lazh .jpg, Aza and Tuga. While there, he easily swept through his pools, and served as the final man in the Texas vs. Mexico crew battle, taking out Arc's last stock without losing one. He also defeated MT 3-1 in a Money Match using Fox, Sheik and Falcon and won Melee doubles with his brother Tuga, defeating Hungrybox and Arc in Grandfinals without dropping a set the whole time. Afterwards, Javi surged through his bracket, defeating the likes of Tirno 3-0 and MacD 3-1 to get into Top 8 on Winner's Side. He then had a nail-biting 5 game set against Hungrybox that went down to last stock, but eventually was defeated 3-2. He then defeated Arc 3-0 in loser's quarters before losing 3-1 to Axe in loser's semis, taking 4th place overall. Javi attended EVO 2015 and cruised through pools and make it into top 32 on winners side, but lost to PewPewU and Westballz immediately to get 17th place. He was able to attend The Big House 5 through the smash compendium. He was notably late for teams forcing his partner Bladewise to play with a level 9 Ganondorf. Despite this setback they were able to get 4th place in teams. In top 64 bracket he beat KirbyKaze 2-0 in winners before getting 0-3'ed by both Armada and Duck to get 17th place. Javi was able to attend Tipped Off 11 through the smash compendium. In top 64 bracket he beat Drephen in winners before getting 0-2'ed by The Moon. He made a good losers run beating S0ft, Wobbles, and Jsalt to make top 8, then beat DJ Nintendo and ESAM before losing to DruggedFox in losers semis to get 4th place. He teamed with .jpg and got 5th in teams. Javi returned to Texas with Aza, Twin, and the rest of Monterry to attend Forte 3. He again took teams with Twin without dropping a set. In singles he made it into the top 8 winners qualifier, but lost to Tai then lost to Westballz in top 8 getting 5th place. Javi was able to attend GENESIS 3 in 2016, but unfortunately only received 33rd place getting knocked out by Ice 0-3 and Mike Haze 2-3. Javi also placed top 8 in doubles with Tuga and was part of Axe's team for crew battles. Javi went to Low Tier City 4 in Texas, but missed out on top 8 after losing to Lucky and Tai again. He also teamed up with Wizzrobe and got top 3. Javi attended EVO 2016 and made into top 32 winners side, but he lost to Plup and S2J and received 17th place like last year. 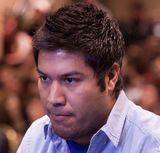 Javi is known for his high level of technical skill, being one of the first Fox mains to consistently utilize the double shine technique in competitive play. Javi is considered one of the best Fox players in dittos and the Falco matchup, taking sets off of several famed space animal players in tournament such as PPMD. He however does poorly in the Samus matchup similar to Leffen having lost sets to ESAM and Duck. He holds the controller in an unusual way compared to most others, playing "claw" as if he was using a fight stick. LSA Weekly 2 January 31st, 2016 1st 1st ? This page was last edited on December 23, 2018, at 23:03.